For scheduling and controlling of orders and to optimise capacity utilisation we offer you the easily operated system HSauftrag. 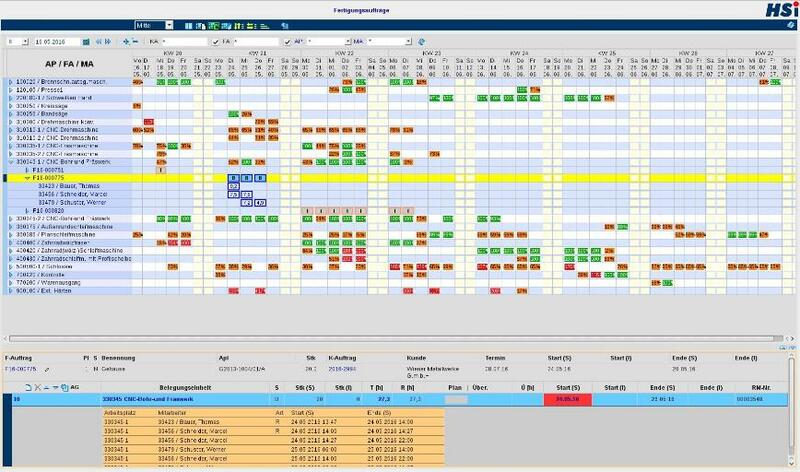 Employee- and workplace related capacity planning allows to plan your available resources accurately to the day. You increase the transparency in the production process and get reliable target dates. Simultaneous costing allows you to keep an eye on the cost development.